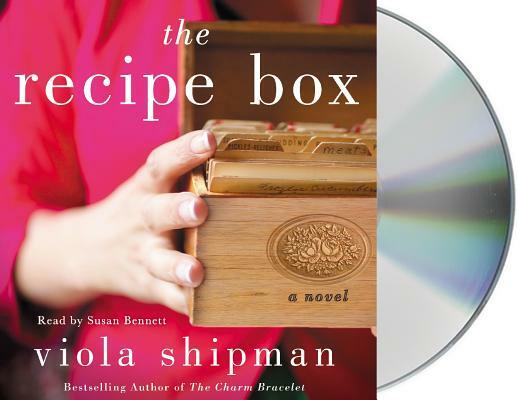 In The Recipe Box, beloved author Viola Shipman spins a tale about a lost young woman and the family recipe box that changes her life. Susan Bennett is known for her radio and television voiceover work. She has narrated a host of audiobooks, including those from bestselling authors Peggy Post, Linda Francis Lee, Dorothea Benton Frank, Emma McLaughlin, and Nicola Kraus. Her reading of Tiger, Tiger by Margaux Fragoso won an AudioFile Earphones Award. In describing Susan’s reading style, Publishers Weekly has said, “Bennett's narration is excellent: she draws the listener into the story... keeping the pacing brisk and entertaining.” Susan also dabbles in the music industry as the singer and keyboardist for The Interactive! Band. Along with her guitarist husband, Rick Hinkle, Bennett is the co-owner of Audiocam Music, a full service recording studio.